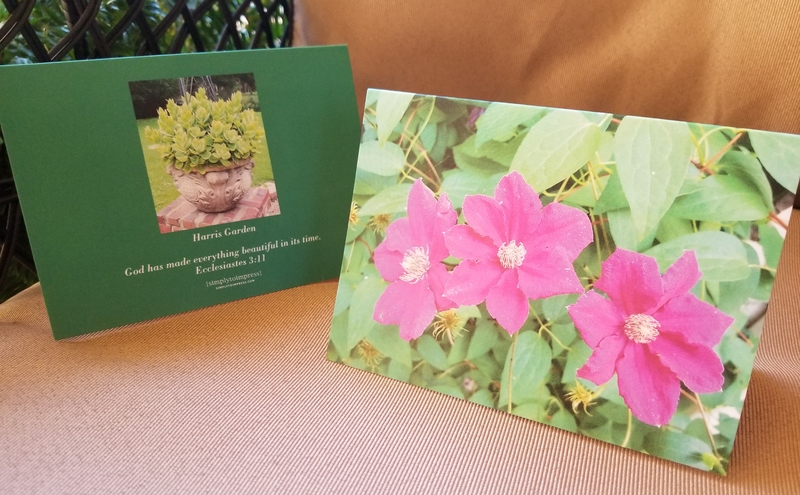 We loved our gardens and wanted to share our favorite photos with fellow gardening enthusiasts. 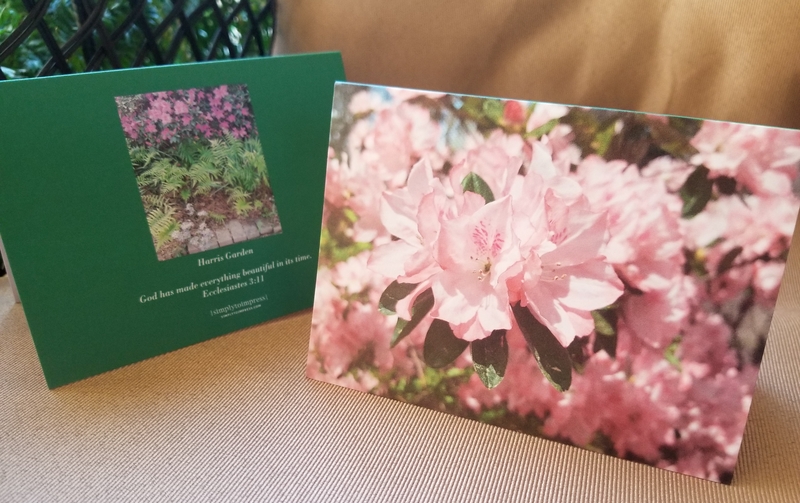 After we transferred photos to cards to send to friends, they encouraged us to make these available to others who would love them, too. Our heart’s desire was to fund more Christian ministries whose purposes were to take the Good News of Jesus Christ and His healing to a hurting world. Every dollar of profit from the sale of our cards is donated to local, national, and international mission outreaches. All people have rebelled against God and desired to make their own rules, to live their lives how they saw fit. Admit to God that you are sorry that you have sinned against Him by not following His guidelines for your life. Tell God that you accept His free gift of His Son Jesus’ sacrificial death on the cross to atone or pay for the sins you committed in your life. Admit that you believe that Jesus died to save you and rose from the dead. Ask Jesus to guide you for rest of your life so that you will truly live to accomplish His purposes, whatever they will be. All you have to do is ask Him; He will!